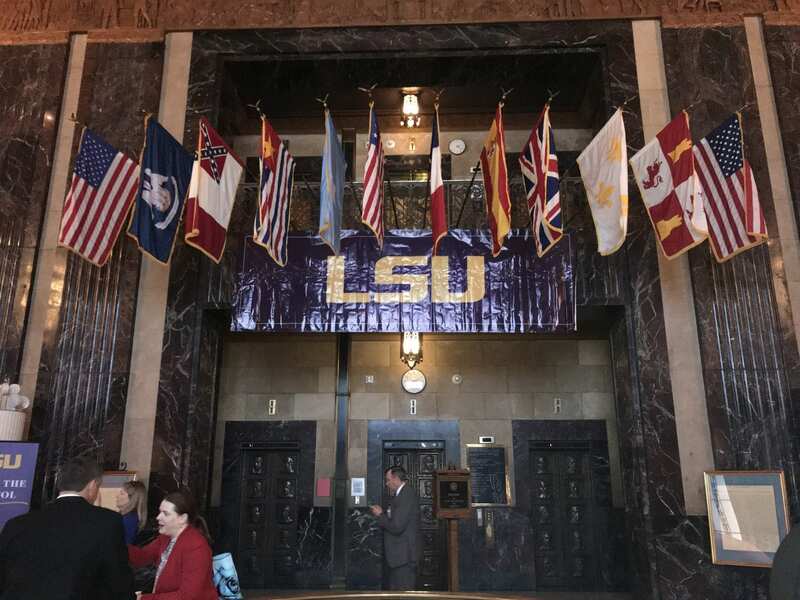 The event–complete with LSU’s band and cheerleaders, an assortment of ice cream from its Dairy Store and a large inflatable colon courtesy of researchers at its medical schools–aimed to showcase the system’s contributions and fend off other cuts. While there could be opportunities to create additional funding for the health science centers by raising taxes, Larry Hollier, leader of LSU Health New Orleans, said he was concerned with the message that the Legislature is sending to the students and faculties of the facilities. “As the name implies, Louisiana State University is all of the state, so having all these different colleges here, like LSU Eunice, Shreveport, Alexandria and Baton Rouge, is important,” Edwards said. Naturally, no LSU event would be complete without sports. Rep. Walt Leger, D-New Orleans, tweeted a photo with LSU basketball coach, Will Wade, outside the Capitol. Football coach Ed Orgeron also was there.